Have you ever wished there really was a bar where everyone knew your name and were always glad you came? Few of us have this in real life, but there is a special place where tequila lovers can gather (virtually) once a week, on the Tequila Whisperer show. 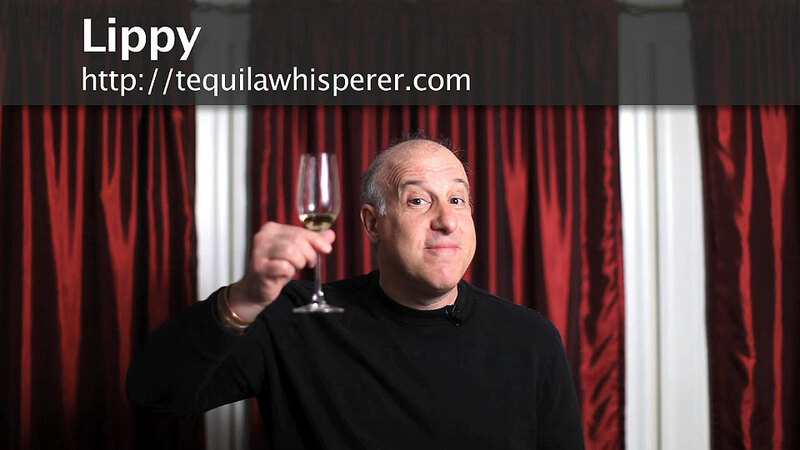 The Tequila Whisperer is a live online show hosted by Michael Lipman (aka Lippy), who tastes and critiques tequilas on the air, oozing tequila love while sharing his knowledge of the spirit. Lippy is fun to watch (see the little video promo, below, that we created when he attended our “Drain The Bar” party earlier this year) and he has a tried and true audience of tequila lovers who trade information, opinions, salacious comments and fun-loving barbs in the rolling chat log. The chat is where industry bigwigs, bartenders, tequila enthusiasts, and bloggers like ourselves settle in to talk shop with people who feel as passionate about tequila as we do. We gather around Lippy’s show with a tequila in hand, and interact with each other about what we’re drinking and why. “The Tequila Whisperer is the kind of show makes me feel that I’m just hanging out with my tequila geek friends in Lippy’s man cave,” says Mark Alberto Holt, creator of the SFT Tequila Bar in Sayulita, Mexico. This is no online boy’s club, either. Tequila-loving women, like TW watcher Theresa Webb Gonzalez, also log in during the live show, and as a result, find themselves part of the action. “I found Lippy’s show searching to find real information about tequila and the industry. I started out by watching all the archives then by tuning into the live show every week to see and hear everything he had to offer, from people in the industry to his passionate side-by-side comparisons of tequila by type, maker and NOMs,” she says. So, if you’ve ever dreamed of a tequila “Cheers” where everyone will soon know your name, login to the Tequila Whisperer Live at 7pm PT on Thursday nights. If you can’t be part of the live show, you can spend hours (literally) in his archive of past shows.